The model features an innovative glass TouchBar that greatly exceeds the performance of traditional functional keys and a Touch ID for fast and secure logging in and paying online. Most devices will need adapters and special cables to connect to this device. MacBook Pro MLH12 is a wave of the future. Upgraded design and enhanced specs make it a perfect tool for work as well as for entertainment. Unrivaled when it comes to performance and comfort of use. Force Touch new technology allows the trackpad to recognize the pressing force, which offers you more opportunities in managing applications. Furthermore, this Apple laptop has very low energy consumption, which protects it from overheating due to energy-efficient CPU. Doesn't allow charging and data transferring simultaneously. Due to recent production developments, this laptop model will be appreciated by those users who value advanced technologies. Thanks to Retina display technology, you are able to see the smallest details of your images and videos. The model is equipped with Thunderbolt 2 speed ports which allow transmitting information at the speed of up to 20 Mbps. This model of laptop has no optical drive. 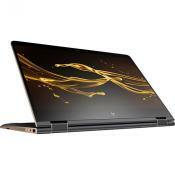 This model of laptop will be a great choice for those users who love playing computer games or have to work with multimedia file processing. A gesture-based sensor control panel provides excellent menu navigation and easy switching between open windows. 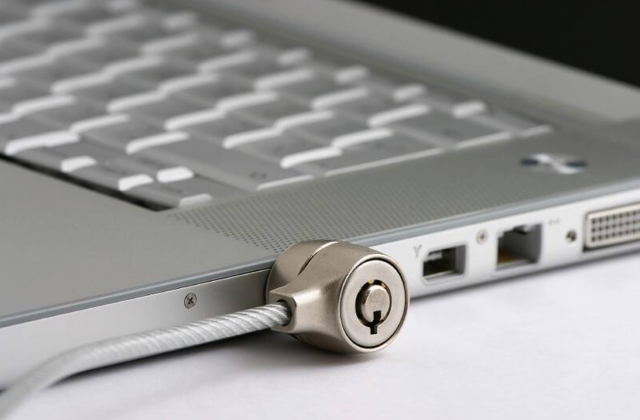 The laptop comes with dual microphones, which perfectly transmit your voice. Limited internal storage drive capacity. This MacBook Air laptop can come in handy for a modern DJ who has to carry his sound system from one club to another and needs to have lots of tracks in superb quality at hand. MagSafe2 Power System USB Connector ensures a reliable connection / disconnection of the power cable. 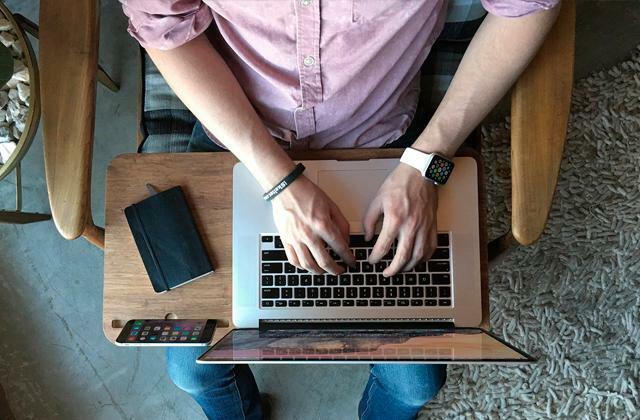 Integrated iLive and iWork app packages guarantee smooth computer performance for daily tasks. This laptop model has no Ethernet port . This newest MacBook Air model will be a great choice for businessmen who use the compact laptop for business purposes. MacBook Pro is a line of devices designed for the widest variety of tasks, and this 2016 model is another step up the ladder. Its 2.9GHz Intel Core i5 processor responds to your commands in a blink of an eye making the work comfortable and smooth. The gadget features 8 GB of 2133 MHz LPDDR3 SDRAM and an Intel Iris Graphics 550 that supports the latest DirectX, meaning you will be able to connect several monitors at a time. 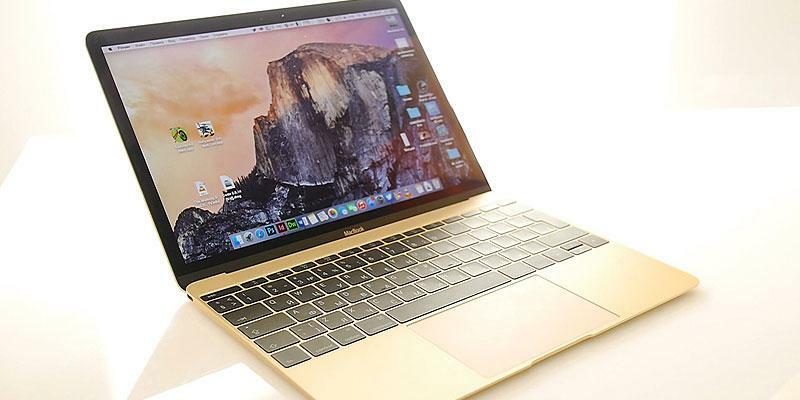 Compared to the previous MacBook version, this one is said to process data 103% faster. A noticeable improvement like this will be highly appreciated by 3D designers and people involved in video editing, and also by gamers. Apple offers this MacBook Pro model with either 256GB or 512GB storage space. Apple MacBook Pro MLH12LL/A represents the fourth generation of MacBook Pro laptops. The Retina display introduced to us by the third generation is still here, implemented in a 13.3" screen with 2560 x 1600 pixels resolution. At the same time, one of the fourth-gen innovations here is the P3 color gamut support that exceeds the color representation of sRGB by 25%. The cooling system was also improved compared to the predecessor. Thanks to the redesigned fans, the cooling now is more effective yet much quieter. New design of built-in speakers offers 58% louder sound with low frequencies enhanced 2.5 times and overall range widened 2 times. MLH12LL/A has four Thunderbolt 3 ports that can be used for a variety of tasks from charging your mobile devices to connecting external monitors and transferring data at the speed of up to 40Gbit per second. 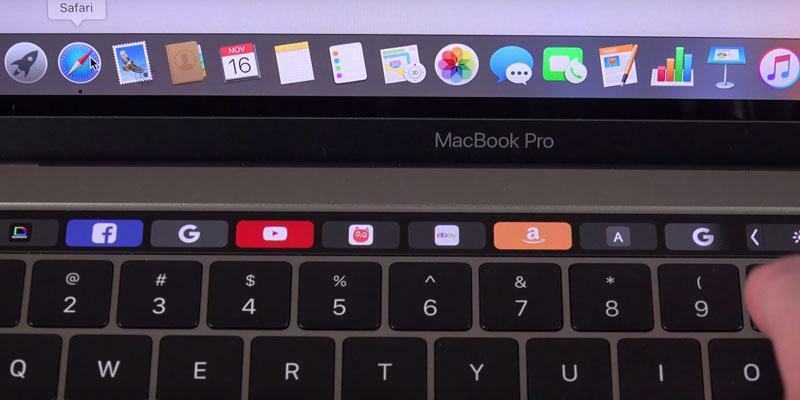 As the distinguishing feature of the fourth generation, Apple presents us the TouchBar. This newest peculiarity replaced the traditional function keys at the top of the keyboard with a multi-touch sensor glass strip. Now you are not restricted by the standard keys, TochBar allows you to set your most used functions in almost every app for quick access. You can set smileys in messenger apps, system controls, intelligent typing, etc. 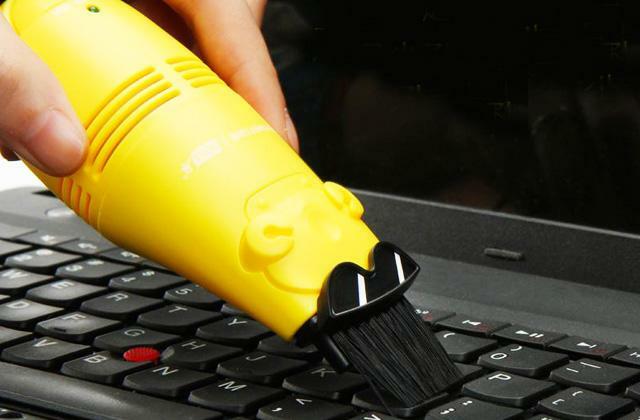 Make your MacBook Pro laptop as comfortable to use as you can. And a cherry on the top! Starting from this model, you can also protect your MacBook with TouchID and wake it up or control payments with a touch of your (only your!) finger. What else to wish for? The display will blow your socks off! Came to this laptop from a MacBook Air (2013) with an i7 1.9 GHz processor and 8 GBytes RAM. This absolutely runs circles about the MacBook Air and is actually much smaller! The read/write speeds are very nice. It's good that Apple finally standarized SSDs although I am not very happy about their asking prices. Speakers are a drastic improvement from my old macbook pro. Loud, clear, and amazing sound when playing music or videos. This model offers the ultimate combination of MacBook Pro high performance and MacBook Air portability. Due to advanced manufacturing technologies, this Apple laptop has become a desirable device for many users. 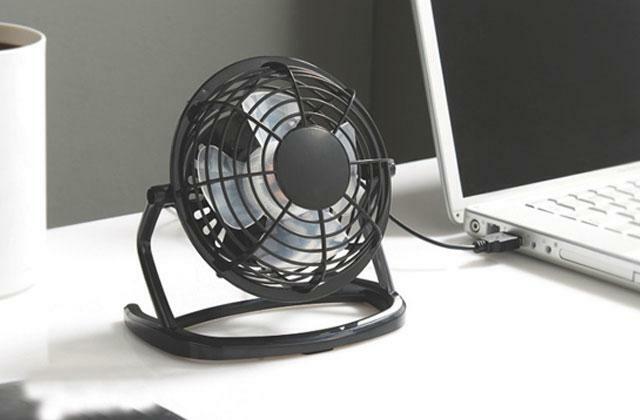 As an added benefit, it has low energy consumption, which results in lower heat generation, keeping your laptop cool. Thus, this model is designed for a wide range of office and home applications. What is more, this is the only model available in three wonderful colors - Gold, Silver and Space Gray. Intel Corporation has developed its fifth-generation 14 nm manufacturing process CPU to show the highest performance, yet made it as energy-efficient as possible. So, the processor consumes only 5 Watts of energy and doesn't need any active cooling. In addition to the powerful processor, this MacBook model has 8 GB of RAM and its SSD flash drive has the capacity of 256 or 512 GB. Intel HD Graphics 5300 GPU is used to create a high-quality graphics. Thus, if you're looking for a high-performing laptop, this one is certainly worth buying. Users will appreciate the impressive image quality delivered by the GPU due to a marvelous 12-inch Retina display with the resolution of 2304 x 1440 pixels. 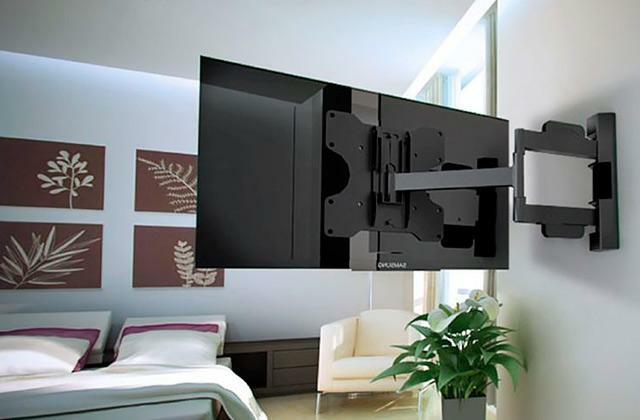 The screen creates really natural images, and the colors are very natural and vivid. Furthermore, energy consumption of LED backlighting has been reduced compared with previous models, because the panel allows more light to pass through it. 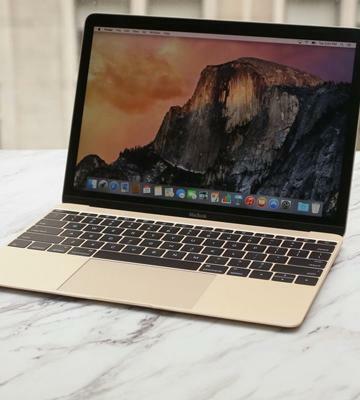 Therefore, if you are going to buy this MacBook model, you'll be fully satisfied with it. 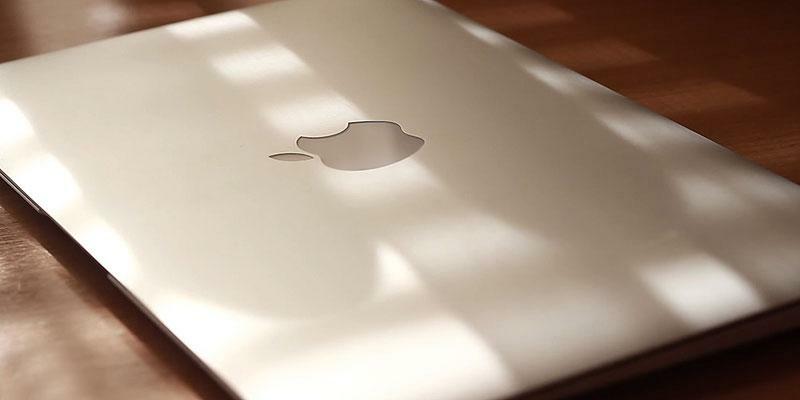 This MacBook laptop is fitted with a lithium polymer battery which has the capacity of 39.7 Watt-hours. That's enough to ensure a decent battery life. For example, the MacBook can work for up to 9 hours in a row with the active wireless connection, and you can watch movies for up to 10 hours before the battery runs out of charge. Also, you can use Apple iTunes program for downloading, playing and managing audio and video files. 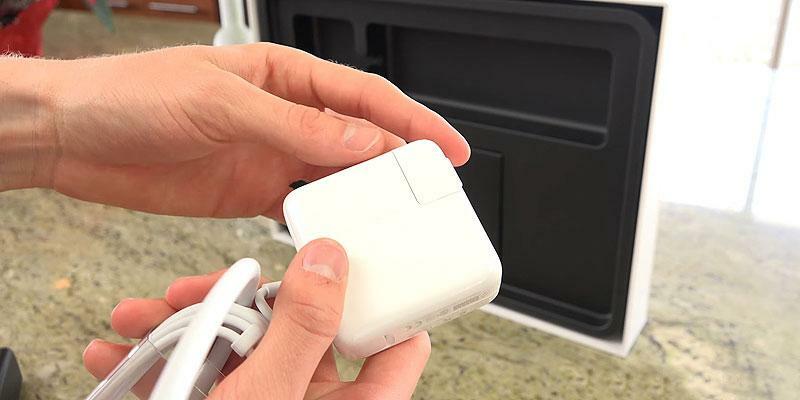 The universal USB Type-C connector is used for charging your laptop while a 29-Volt power adapter is connected to the mains. This Apple laptop is the most compact among all the devices represented in our comparison. Its size is 7.74x11.04x0.52 inches and the weight is just 2.03 pounds. So, the laptop is slightly bigger than iPad Air 2. 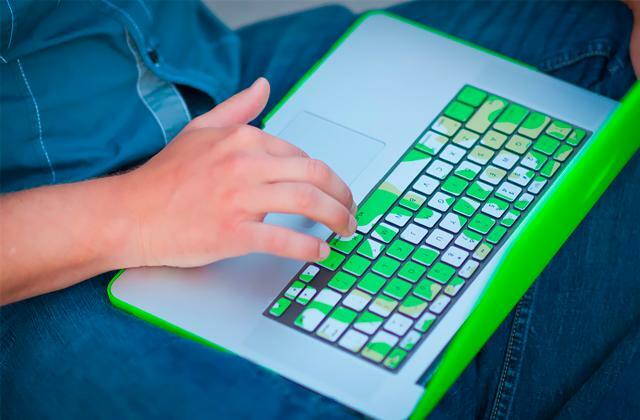 The users will appreciate a unique full-sized keyboard with individual backlighting of every button, as well as a specially designed trackpad which allows using additional features depending on pressure force. 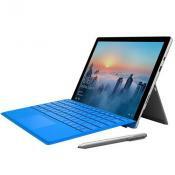 You will be surprised with superior tactile feedback. This MacBook model is equipped with a Yosemite operating system with a pre-installed program pack. So, it's a good reason to pick this Apple laptop. 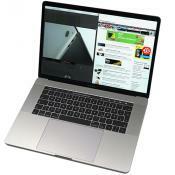 Apple MacBook Pro (MLH12LL/A): 3.02 lbs. 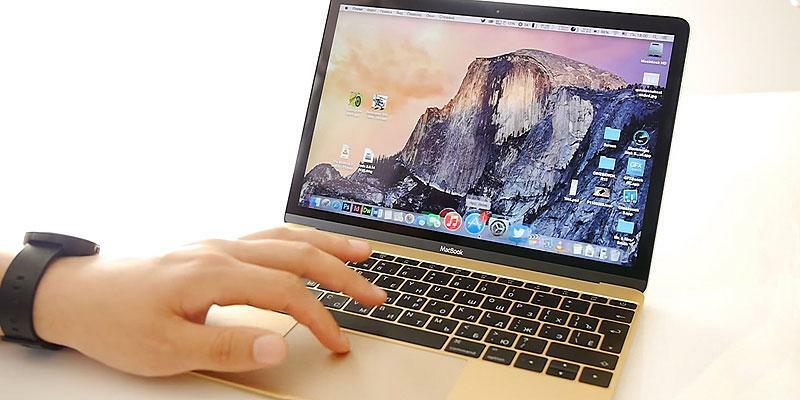 Apple MacBook (MLHE2LL/A): 2.03 lbs. 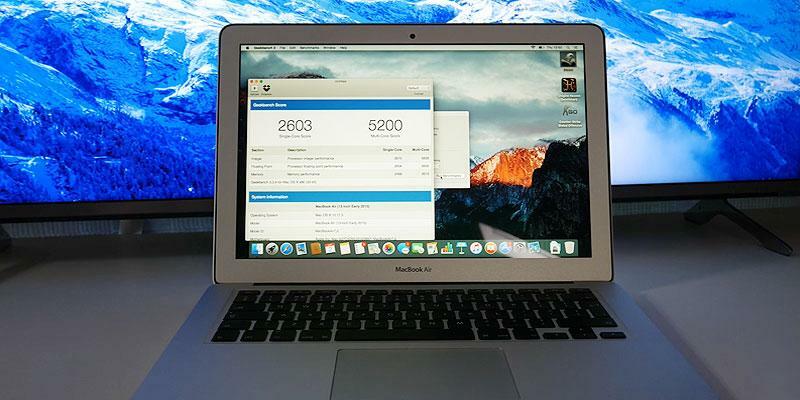 Apple MacBook Pro (MF839LL/A): 3.48 lbs. 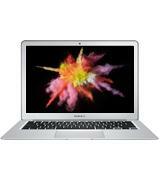 Apple MacBook Air (MMGF2LL/A): 2.96 lbs. So far I have not run into any issue with the core-m processor handling my workload. Keyboard - nicely lit, and has a good feel to it. 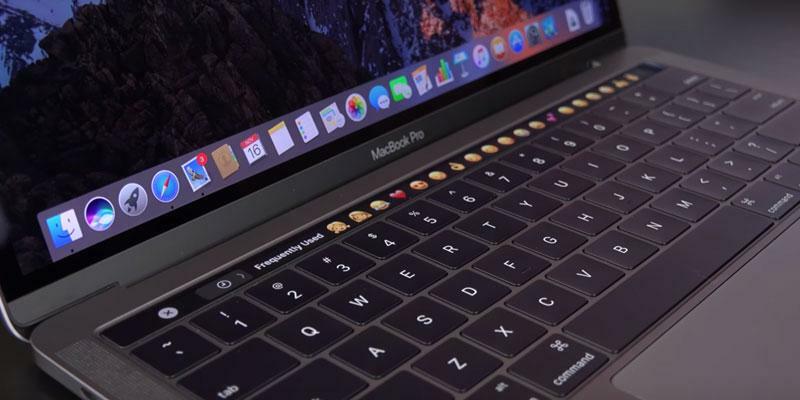 This model refers to the range of MacBook Pro products, which is characterized by high performance and allows you to handle multiple tasks efficiently. For instance, you can play games with awesome graphics as well as edit multimedia files. Thus, this laptop will be suitable both for work and for personal use. 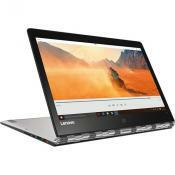 This model is also available with a 15.6-inch display and a more powerful Core i7 processor. Intel Core i5 is a powerful dual-core processor with the clock frequency of 2.7 GHz which provides MacBook with appropriate performance. Moreover, this CPU can work even faster (up to 3.1 GHz) thanks to Turbo Boost technology. Intel Iris Graphics 6100 is an integrated graphics card which provides you with stunning graphics. This MacBook model has 8 GB of DDR3 RAM (running at 1866 GHz) and the adjusted solid thumb drive with the capacity of 128 GB / 256 GB / 512 GB which allows storing a lot of data. The screen size of this Apple model is 13.3 inches with the high resolution of 2560 x 1600 pixels. Due to the Retina display technology, the image has an incredibly high resolution, natural colors, as well as high viewing angles. The MacBook display has almost 2 million pixels - more than a typical HD TV has. Therefore, the more pixels on the screen, the higher resolution, and the better image quality will be. It should be noted that the laptop battery will be sufficient for up to 10 hours of operation with an active wireless connection. Film fans can enjoy watching their favorite films or series for almost 12 hours. In case you leave your laptop switched on for 3 hours, it will keep your laptop battery working up to 30 days in a sleep mode. For many people, the battery life is a very important criterion when buying a laptop. 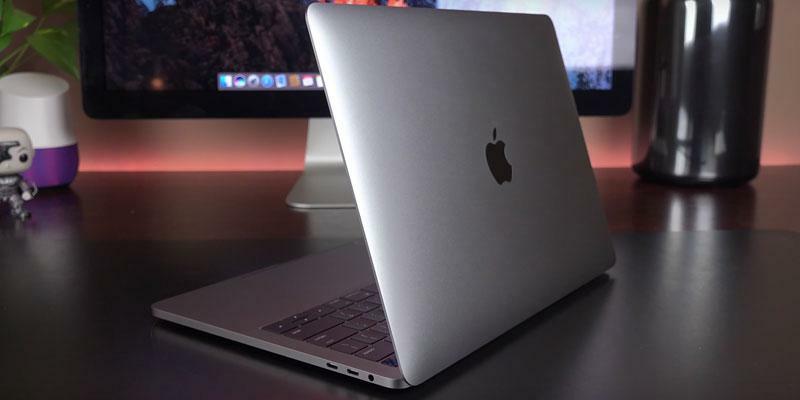 Despite the fact that this MacBook model has quite an impressive technical specification, its size is 8.62x12.35x0.71 inches and it is rather lightweight - just 3.48 pounds. This Apple model is equipped with an OS X Yosemite system with pre-installed iLive and iWork packages which contain such apps as Pages for creating documents, Numbers for spreadsheets and Keynote for making presentations and other useful features. 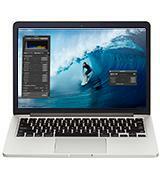 Apple MacBook Pro (MLH12LL/A): 11.97 in. 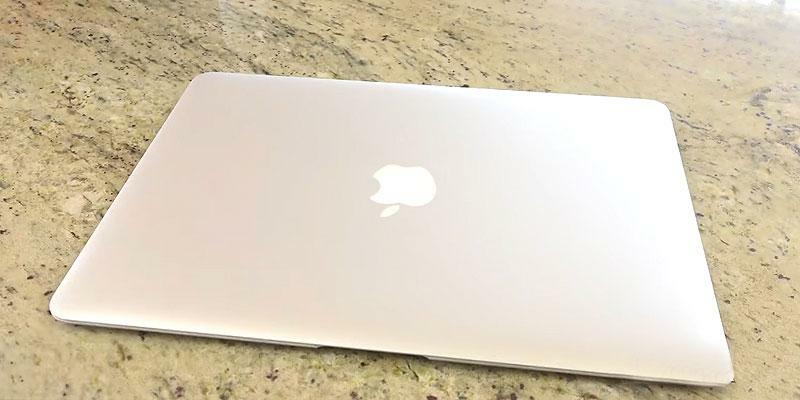 Apple MacBook (MLHE2LL/A): 11 in. 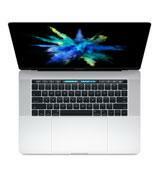 Apple MacBook Pro (MF839LL/A): 12.35 in. 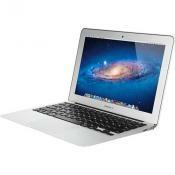 Apple MacBook Air (MMGF2LL/A): 12.8 in. The latest MacBook Pro has a great screen, fast processor and fabulous software. iOS is extremely user friendly and the new iOS X makes life easy as it will convert your windows files to a readable format to iOS. 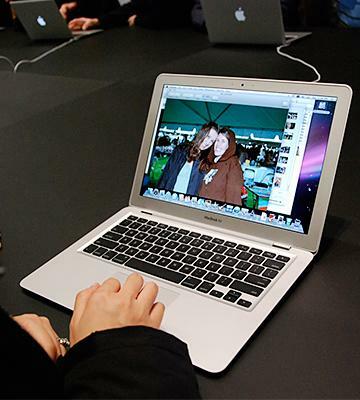 This upgraded ultra-thin 13.3-inch MacBook laptop refers to compact MacBook Air models of the previous generation. You can use this laptop for web browsing, watching your favorite movies online/offline or doing your work wherever you go. If you cannot do without a laptop at your studies or work, you will see the true value of this MacBook model! 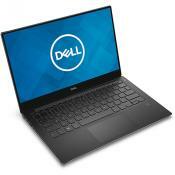 This super-fast high-performance laptop can easily handle any task for achieving your goals. That's a quite powerful 5th generation Intel Core i5 dual-core processor with the clock frequency of 1.6 GHz per each core. Moreover, Intel's proprietary Turbo Boost technology can automatically boost the performance of the CPU and run at a frequency of 2.7 GHz. Intel HD Graphics 6000 integrated video card offers fairly decent graphics opportunities and produces low heat. 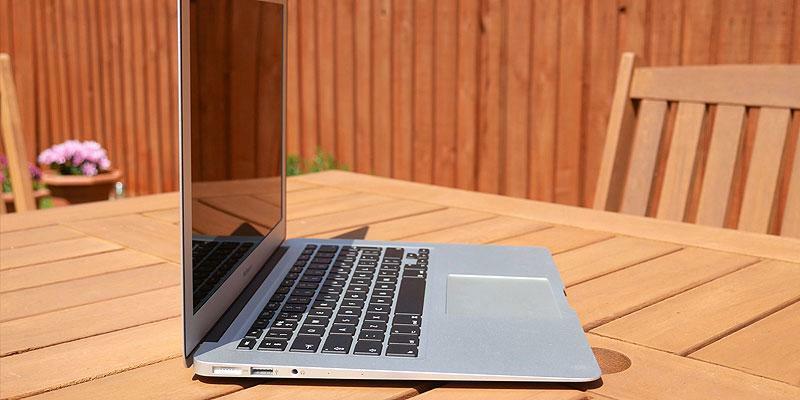 This MacBook Air laptop comes with an SSD storage drive with 2 available capacity options: 128 GB and 256 GB. Thus, you can pick the capacity that suits you best. Immerse yourself in the fascinating world of rich and high-quality picture owing to the state-of-the-art 13.3-inch display with the maximum image resolution of 1440 x 900 pixels. The LED-backlit display ensures rich color saturation, displaying images in bright and lively colors. 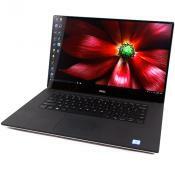 It is widely agreed that this laptop's screen resolution is wide enough for watching movies, as well as for editing photos, creating presentations, and so on. 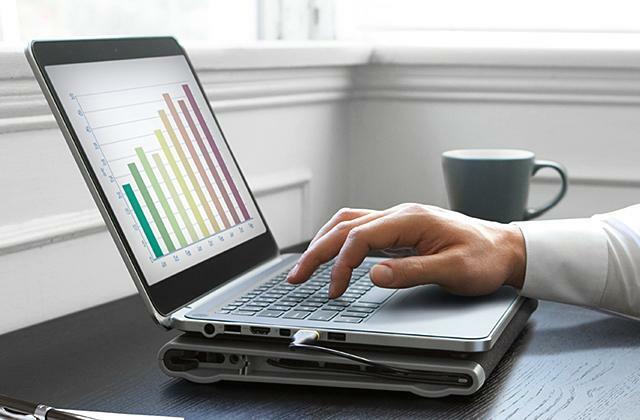 The incredible battery performance of this MaсBook Air laptop will not leave indifferent even the most demanding users who are rather skeptical about the possibility of working away from the power supply. 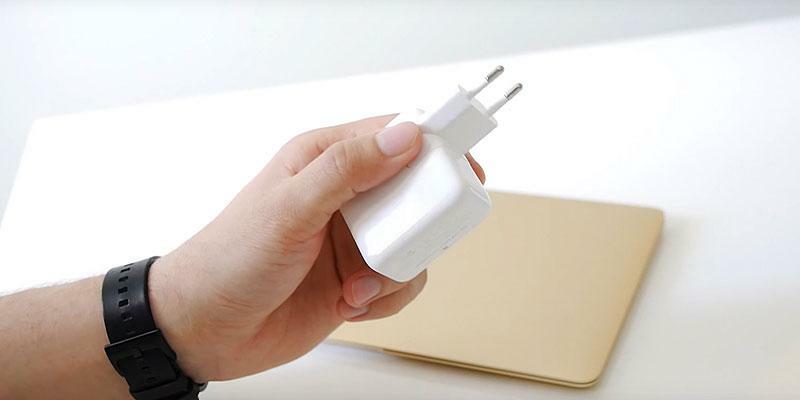 Сontrary to the popular belief, this model can provide up to 12 hours of wireless connection or last up to 30 days in standby mode without being connected to a power outlet. Notably, no other laptop manufacturer can boast such a remarkable battery life. The laptop is charged via a 45W MagSafe 2 power adapter. 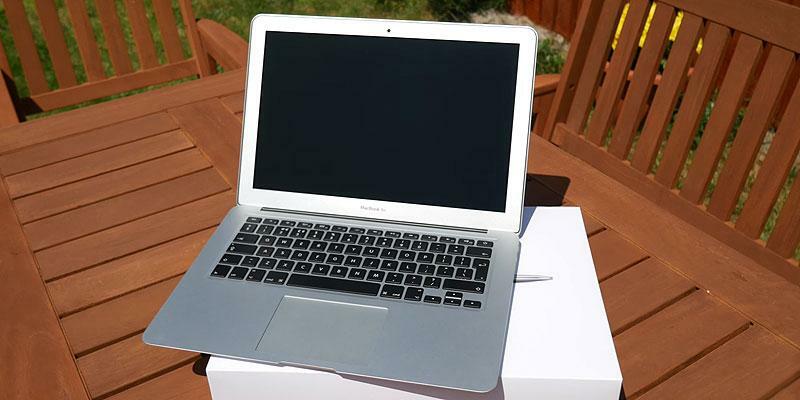 This ultra-compact, highly portable MacBook Air laptop has the following dimensions: 12.8 х 8.94 х 0.68 inches. The weight of the unit amounts to 2.96 pounds, which gives you an opportunity to take it with you anywhere you go, carrying it even in a small laptop bag. 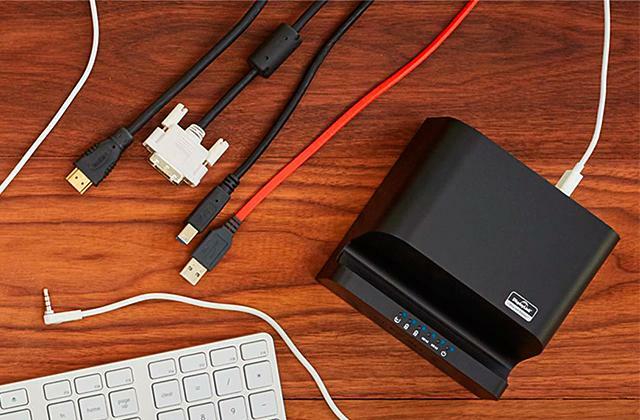 The device has several USB 3.0 ports allowing you to connect removable USB drives to free up your laptop's internal storage drive. Also, this MacBook Air laptop features a Thunderbolt port to connect monitors and other peripheral devices. 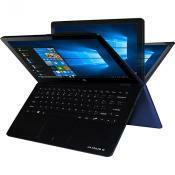 Much like most other laptops, this model uses Wi-Fi and Bluetooth wireless technologies. 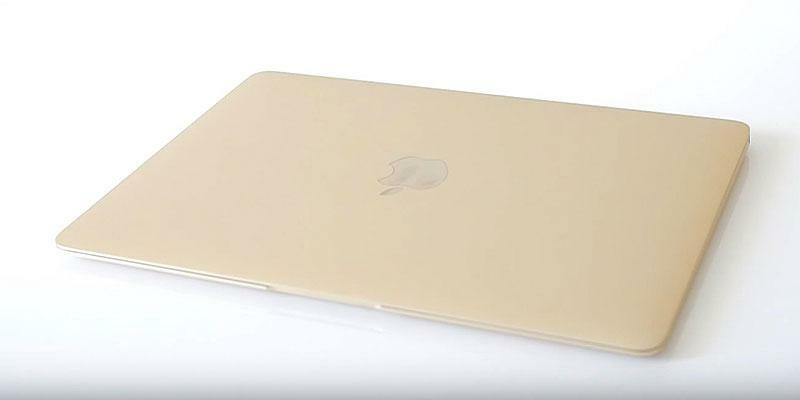 Apple Macbook Air 13' Unboxing-IN 2016! I love my Mac Air and the fact that it has 2 Usb ports and a port for my SD disk for my camera. 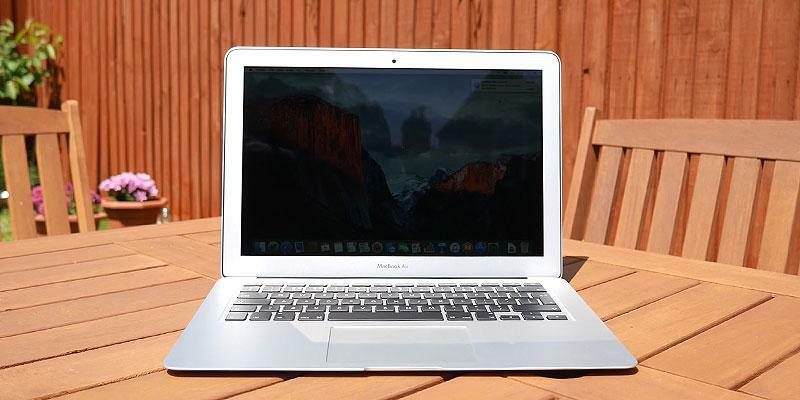 This model of MacBook Air laptops is a great choice for those who travel extensively. 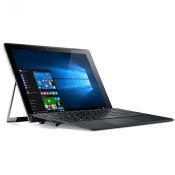 If you need to use a laptop during your business trip or vacation, this powerful 13.3-inch model will allow you to fulfill multiple online tasks, thereby replacing your traditional desktop PC. When it comes to buying a travel laptop, high portability and versatility are the key features. Therefore, if you travel frequently, this MacBook model will suit you perfectly. 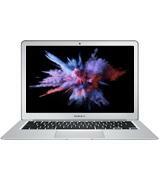 This 13.3-inch MacBook Air is supplied with the fifth-generation Intel Core i5 CPU, which has been designed specifically to reduce energy consumption. In addition, this Apple model is equipped with a solid state drive with the capacity of up to 256 GB to provide a superior data transfer rate. If you think that 256 GB drive is too much for you, then it's worth considering a lower capacity 128 GB model. An integrated Intel HD Graphics 6000 GPU provides MacBook Air with high performance even for the most resource-intensive games and for editing HD videos. This 13.3-inch laptop has a high-resolution display of 1440 x 900 pixels which is enough for comfortable work with all the necessary applications and multimedia. 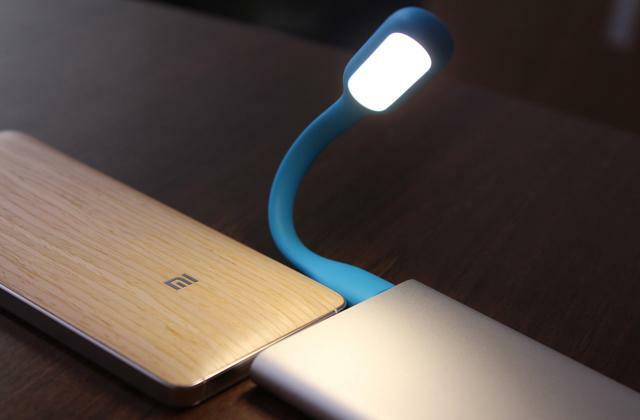 You will enjoy amazing vivid images and exceptional brightness the screen produces. The model features LED backlighting which provides stunning graphics. Thus, if you are looking for a laptop for design work, animation or editing, you will be satisfied with this model. Among all Apple laptops, this MacBook has the longest battery life which allows you to work on the Internet and watch videos in iTunes for up to 12 hours in a row. This model comes with a standard 45-Volt battery charger. This MacBook can remain ready to work for up to 30 days if you put it in a standby mode; you will always be able to use the laptop any time throughout this period. 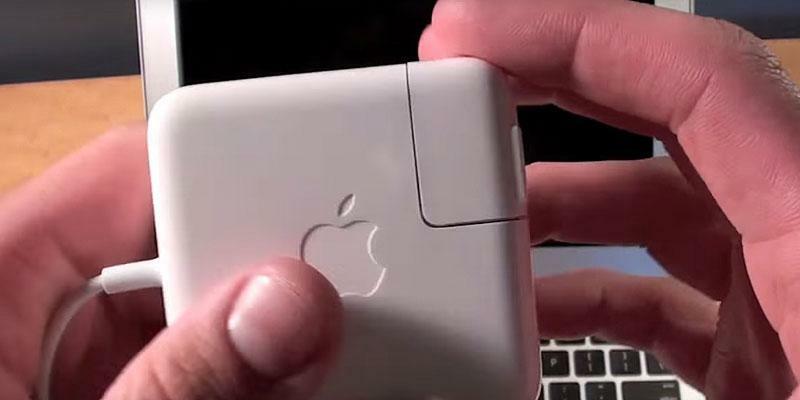 Therefore, if you're looking for a MacBook with a long-lasting battery - take a close look at this device. This MacBook has several USB 3.0 ports, Thunderbolt 2 high bit rate port, as well as 3.5 mm audio connector for convenient use. Moreover, you will be able to shoot HD-Camera videos with the resolution of 720 pixels. Having all these slots and ports, the MacBook model is still very compact, measuring at 8.94x12.8x0.68 inches. The weight of the device is relatively low - 2.96 pounds. 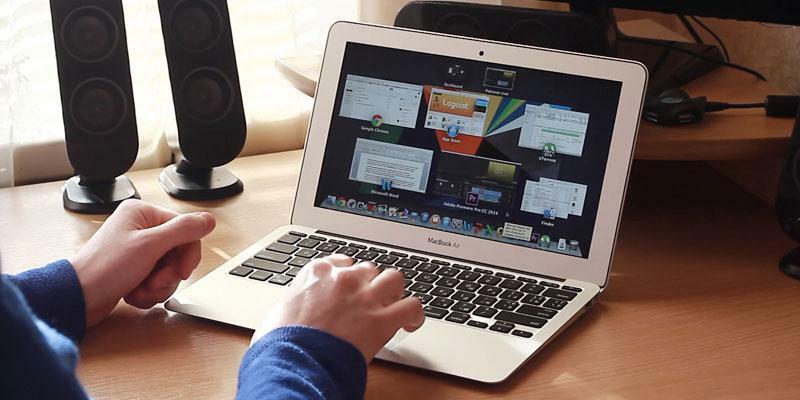 Take advantage of this model of MacBook laptop for your efficient work. I have bought my macbook air with 8GB ram directly from Apple's website because I felt like 4GB was a bit low. MacBook is a line of Macintosh laptop computers, manufactured by Apple, which became a benchmark of quality for portable electronics. The laptop case contains the hardware which ensures excellent performance in combination with a distinctive design and a good battery life. 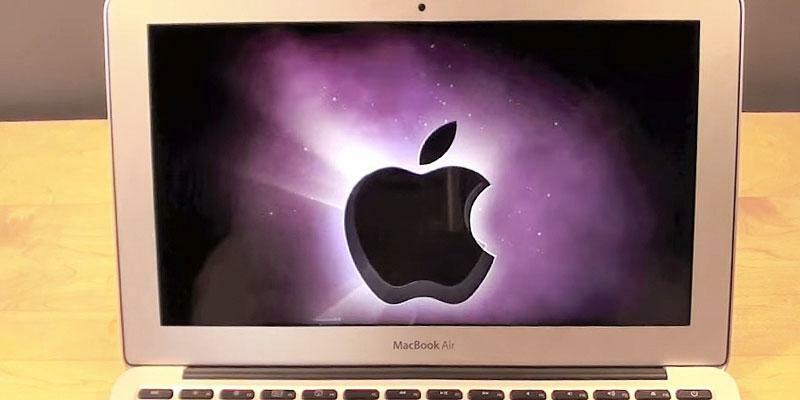 From among all MacBook models, you can choose the one that will fulfill any task ranging from studies and paperwork to the latest computer games and multimedia file processing. Also, it's worth mentioning that OS X operating system has been specially designed for Apple laptops. Mac OS has a high level of protection against all kinds of malware and scumware. Moreover, Apple OS is optimized in accordance with the technical specification of a laptop. For those users who prefer other operating systems, we recommend paying attention to touchscreen laptops. Gamers will definitely appreciate one of the models of gaming laptops. 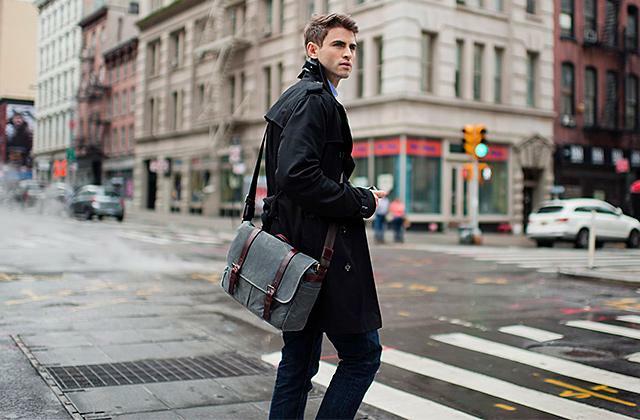 We also advise you one of laptop backpacks or laptop bags for convenient transportation of gadgets. When choosing a MacBook, you should pay attention to the models available. 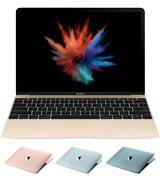 Currently, the product range is presented by 3 main models, such as MacBook, MacBook Air, and MacBook Pro. If you often have to take a laptop with you, then it's better to choose the MacBook Air model which is compact and lightweight, but with a high battery life. If you are interested in a high-performing Apple laptop that has an impressive hardware, it's worth paying attention to the MacBook Pro. 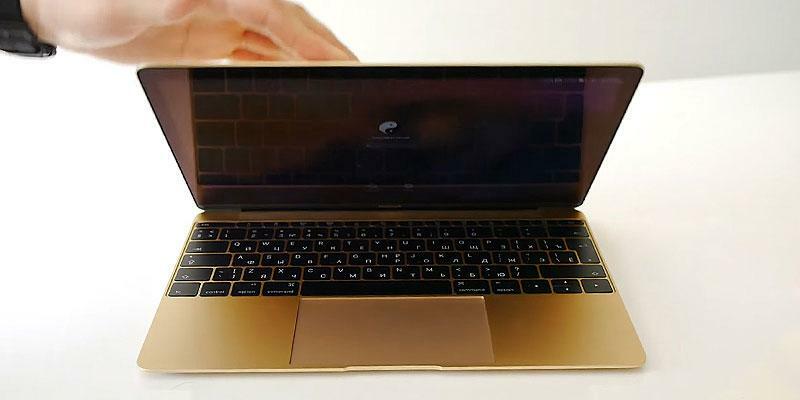 However, if you are looking for the golden mean, you should take a close look at MacBook models which combine high performance, thin casing, and amazing design. 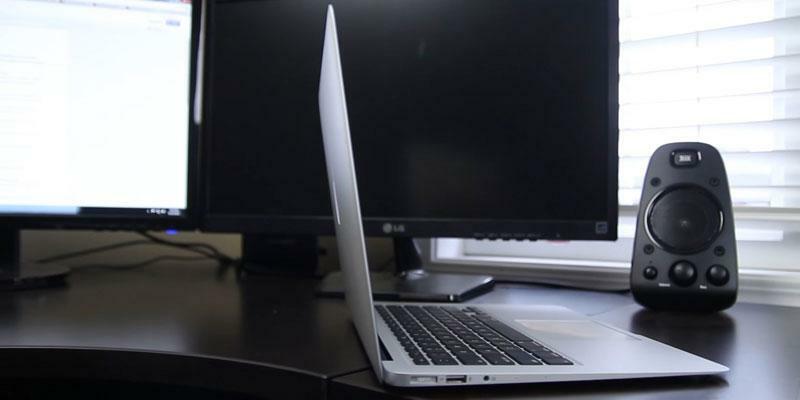 When choosing any MacBook, you shouldn't forget about such a feature as the performance. It's worth mentioning that all the Apple models have high-performing CPUs designed by Intel. 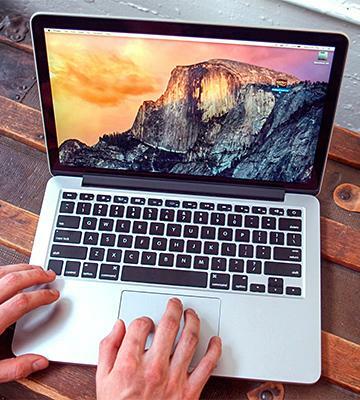 Powerful CPUs such as Core i5 and Core i7 allow coping with any tasks that your MacBook faces. Furthermore, due to the fact that all up-to-date models are equipped with a solid state drive, their response speed is awesome, so you can launch applications immediately and switching between the tasks is fast and smooth. 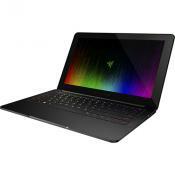 Besides, the RAM capacity also influences the overall laptop performance. The majority of modern MacBooks have at least 4 GB of RAM. Another important feature is the image quality. The screen resolution influences the image quality, so the models with a higher resolution display images more accurately. If you mainly do paperwork or surf the Internet, then the laptops with the resolution of 1366x768 pixels will suit you perfectly. If you plan to use a MacBook to view photos and Full HD videos, you need to choose a model with the resolution of at least 1440x900 pixels. 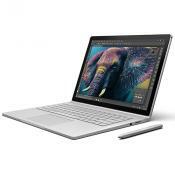 However, if you want to use a laptop to work with graphic editors or process multimedia files, it's better to choose a MacBook with the resolution of at least 1920x1080 pixels. It's worth mentioning that the most functional models are fitted with Retina displays, which have a very high pixel density, providing the stunning resolution of 2304x1440 pixels. One more extremely important feature is the battery life of every MacBook. The majority of modern laptops can provide you with 5-6 hours of continuous operation on a single charge. Since MacBooks come with cutting-edge energy-efficient processors and SSD drives, they have a high-capacity battery inside which can provide a long-term autonomous operation. 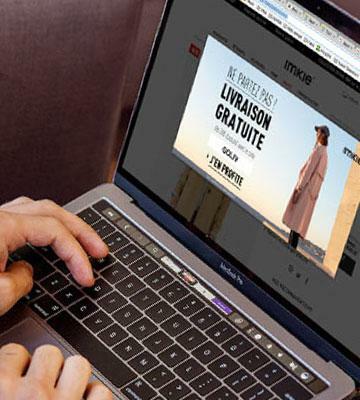 If you often go on a trip, you can choose one of MacBook Air models, which will provide you with up to 9-12 hours of operation on a single charge. And if you choose one of MacBook Pro models, you will enjoy your favorite films from 10 to 12 hours. Regarding the usability, the size of a laptop is another essential feature. 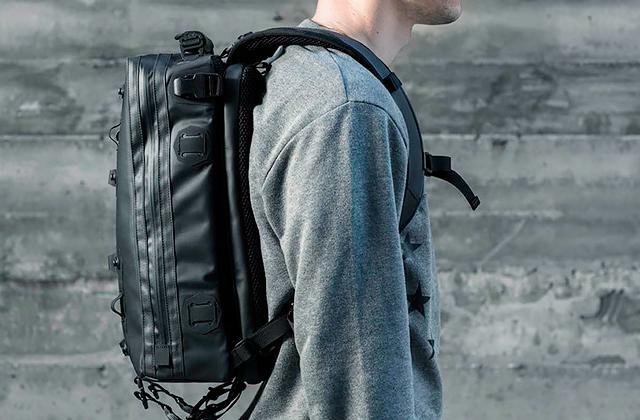 The more compact the model is, the more convenient it is to take a laptop with you. However, compact models lack performance. Also, it's important to note that these models have a pre-installed operating system. 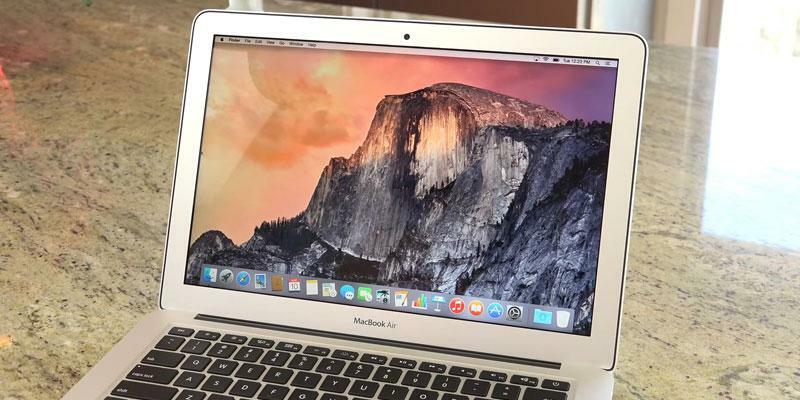 Moreover, all MacBook models are equipped with OS X system optimized in accordance with technical specifications. Mac OS comes with some pre-installed software application packages which help you use your MacBook for all kinds of tasks. Furthermore, you have an opportunity to connect various peripheral devices to your Apple laptop. 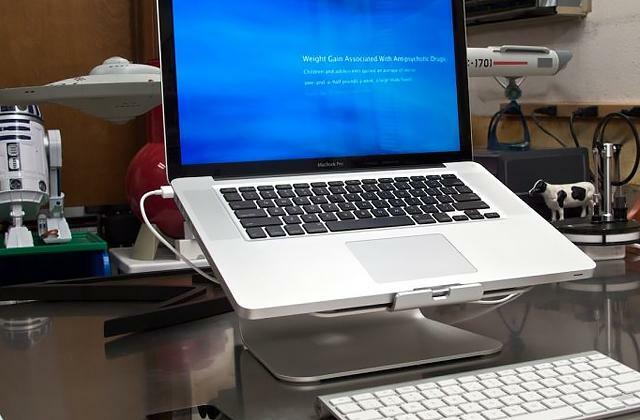 Although today, thanks to wireless technology, many manufacturers remove some ports from the computer casing in favor of cloud services and synchronization via the Internet, thereby reducing the laptop size. 1. Roman Loyola Which Mac should you buy? Macworld. November 29, 2016. 2. 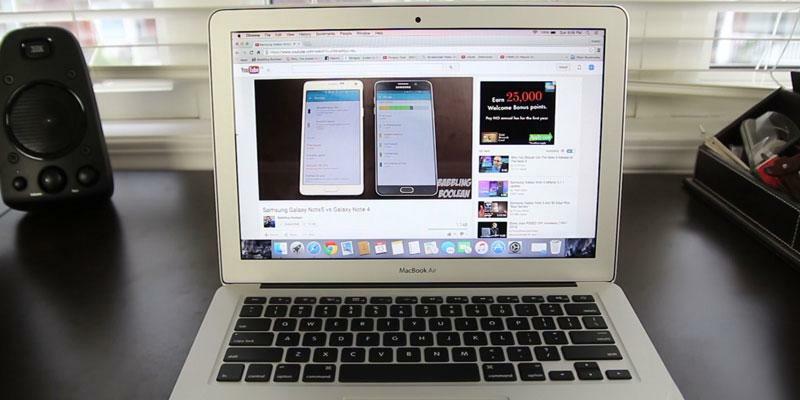 Scott Stein The MacBook mess: Or, why it's so hard to choose an Apple laptop, CNET. May 13, 2016. 3. 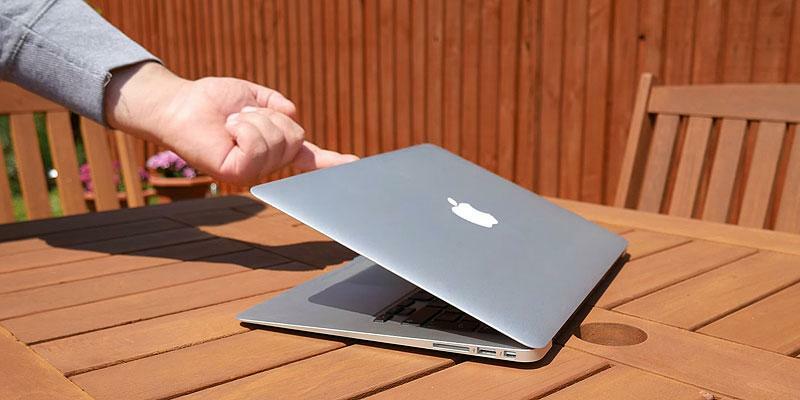 RENE RITCHIE MacBook buyers guide: How to pick your perfect Apple laptop! iMore. November 10, 2016. 4. 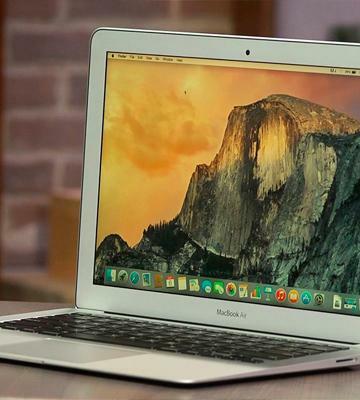 Brandt Ranj How to choose the right MacBook for you, Business Insider. November 23, 2016. 5. Matt Smith and Brad Bourque What’s the best MacBook for your money? Hint — you can forget the Touch Bar, Digital Trends. December 12, 2016.